Interested in DTG or T-shirt printing? Read below for information on our T-shirt printers. 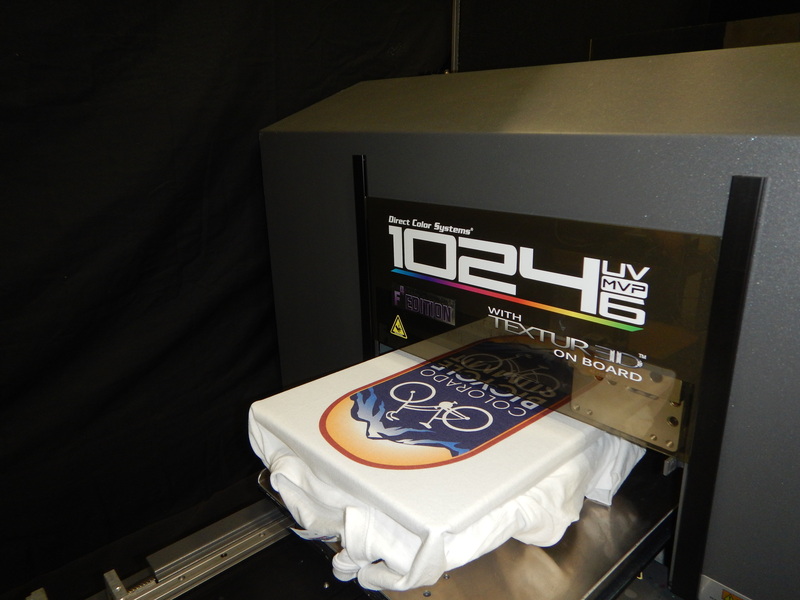 Direct-to-Garment and Direct-to-Substrate printing is now available in one printer through Direct Color Systems. The versatile Direct Jet 1800z printers (F6T Editions) can now be used to create durable and fade resistant prints. Our DTG printer uses the best digital printing methods to produce high-quality garment designs with strength and durability. 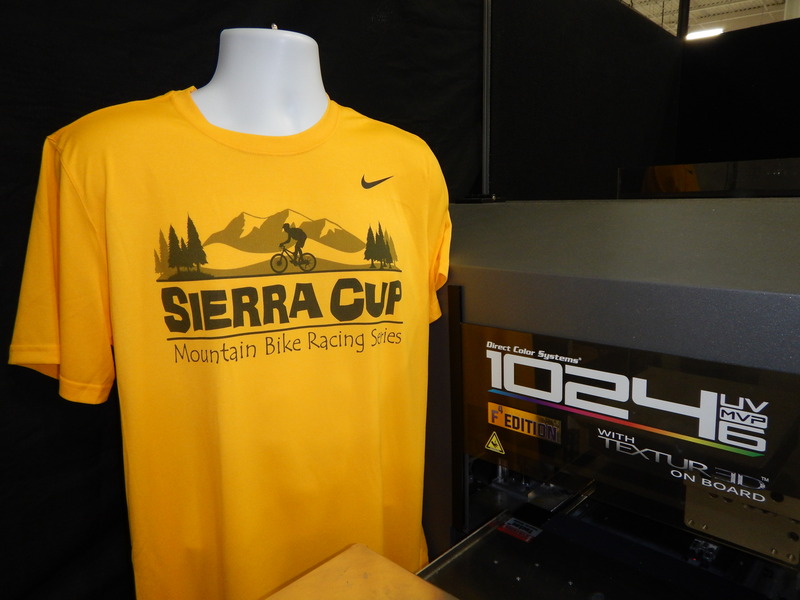 Gone are the days of heat press machines and screen printing, this advance digital machine produces professional garment prints on light and dark colored t-shirts utilizing the Multisolve F6T white ink and IRF6 (CMYK+Cl) UV inks*. 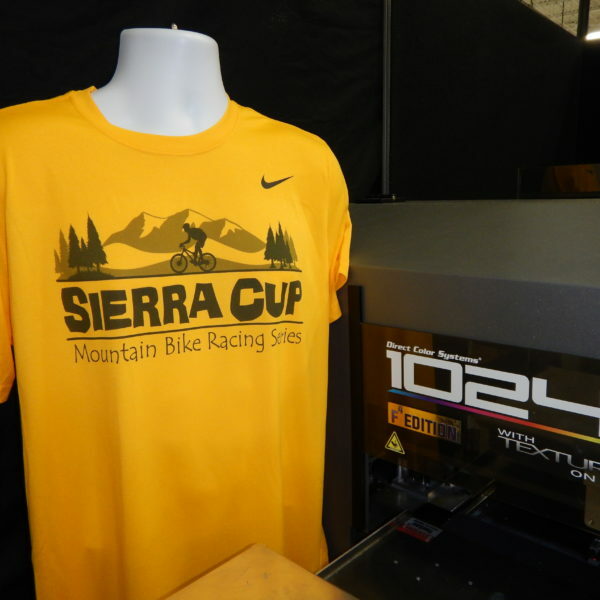 This innovation in custom apparel printing methods marks the first ever DTG (Direct-to-Garment) printer for cotton, cotton blends, 100% polyester and other synthetic materials. Officially, eliminating the need for harsh chemical pretreatments in the custom t-shirt business. The direct to garment printing market has long struggled with the process of stiff heat transfer press designs, screen printer errors, and harsh chemicals pretreatments for polyester and synthetic blend garments. 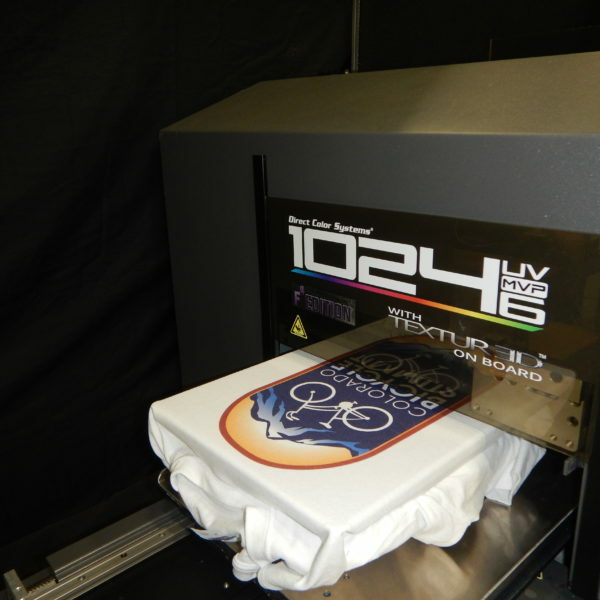 The ability for DTG transfer machines to quickly and easily print to both natural and synthetic fabrics, without the need to heat press a chemical pretreatment, combined with the ability for the printed image to stretch with any fabric, can radically increase product offerings and profits for those in the DTG market. *All garments should be tested for image receptivity, adhesion, and durability with final acceptance and suitability determined by the customer. Applications that include use within washing machine environments should be tested for durability.